"It was well worth the fight"
I got a call last week saying everything was a go for my surgery. My insurance overturned their original denial (I'm sure having filed with the state had something to do with that). I am extremely lucky that Dr. Henderson's office was patient and didn't cancel. So I went in Thursday for pre-op. I was able to see my doctor and go over what he was going to do Friday. The first thing he said when he walked in the room was, "I am honestly surprised you made it." I guess I'm one of the only people to get an approval for this surgery out of network. I was proud of us. I was the first surgery on Friday. The surgery only took 48 minutes, but they spent an hour doing x-rays before it started. Dr. Henderson decided to knock me completely out (which is how it should be at this point. They know where it goes, I don't need to tell them). After it was over he told my mom, "It was well worth the fight." What I'm assuming he meant was: your last doctor screwed up so badly and it had to be fixed. They left the battery pack but removed all the old leads, put in more electrodes, re-tunneled everything, secured the battery pack, anchored the wires better and fixed the terrible scar on my chest. I stayed the night in the hospital for pain relief, but I felt good. The stimulator is working! And this recovery is going amazingly smooth. I feel great (all things considered). I'm sore, but compared to the last revision this is a vacation. I'm on 1/4 of the pain killers I needed last time, I'm able to get out of bed, and I've been able to do light chores. Since my headaches are now gone I feel better equipped to handle the pain. I am so happy. I always knew the stimulator could work for me; I just needed a good doctor! I will go into more detail about my experience at Stanford in my next post, and I'll try to write one about what I've learned about getting insurance approval. My third revision is supposed to take place in 5 days (May 24th). I haven't written about it because my personal life has been so chaotic. I was under review from Social Security for a YEAR!, I had to drop out of school because my pain has been ridiculous, I have gotten the flu, several sinus infections, a cold then laryngitis, and oh yeah, I am a witness in a criminal trial for an assault that happened ages ago. So my third revision. I finally found a neurosurgeon to see me, Dr. Jaimie Henderson at Stanford in San Francisco. The appointment went swimmingly and I actually really like him. It's the first neurosurgeon I have met with any bedside manner. I saw him in March and we scheduled my surgery for the end of May. I was thrilled, and even though he is technically out of my network I was told it wouldn't be an issue. HA! I got a call the first of May from UC Davis (the site of my first 6 surgeries) telling me they will not approve me to leave. So I've been running around like a chicken with my head cut off trying to get this approved. My insurance told me this isn't an emergency so they wouldn't even consider my appeal for 45 business days. The odd thing is "severe pain" is considered an emergency and must be put through their 72-hour review. I filed an independent medical review with the State of California to help us, and the lawyer assigned to my case has been great. First UCD wouldn't give me a reason for the denial, then they said I could go back to Dr. Boggan for another revision. Um, well first he didn't want to see me again and also, why would I keep going back when it's obviously not working? Plus he won't put in the necessary amount of leads (as Dr. Henderson says, "Why would he put in such an antiquated system?!"). 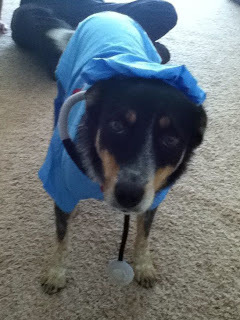 So I e-mailed Dr. Boggan and requested he let the insurance know he's done. His ego was too big to do such a kindness. But, ultimately he said he was disinclined to have me as a patient. While I was sad to see it in writing, I already knew how he felt about me. So I thought that was the end...I was wrong. UCD then said they have another neurosurgeon who can do the surgery. Wait...no, that's not right. Then I heard the name and realized he's the one embroiled in the whole killing people with feces in the brain. No way I would let him touch me, plus he's never done this surgery before. So, despite my severe reservations I saw him on Friday. What can I say? I didn't hate him, but that's mostly because he said it would be best for me to go to Stanford. That's the end, right? No. UCD is now saying I have to see someone at their "sister hospital" which is UCSF. So I called UCSF and tried to get an appointment. Turns out they haven't been affiliated with UCD in years. I am currently awaiting a phone call from the lawyer to decide our next step. My conclusion is UCD is just trying to buy time so I have to reschedule. I had no idea they had any say so, however apparently because they are my HMO they do. I was so smug, thinking I was one of the lucky ones since I have never had insurance problems before. I figured since I have the stimulator in they had to pay for it to be revised, and why would they make me go back to a doctor who couldn't do it properly? Will I have surgery on Friday? Nobody knows. I sure hope so. I want this to work so badly. And while this may sound vain, I was really excited when Dr. Henderson told me he was going to fix my hideous scar. My fingers are crossed, and I can now understand the pain of all the people who e-mail me asking how to deal with insurance companies; they are evil. I have been sick since October. What started out as the flu has morphed and left me ill for weeks. It reminds me I am still frail and recovering from surgery. It was a usual Saturday when my mom called me, frantic. Have you heard? UC Davis neurosurgery department is being investigated for unregulated practices. Killed at least 3 people. At the heart of the storm is my old neurosurgeon, Dr. J. Paul Muizelaar. Apparently, Dr. Muizelaar, along with another neurosurgeon, tried "treating" brain cancer patients by drilling a whole in their skull and infecting them with bacteria. The story is much more complicated, but really disturbing, and unnecessary to retell. Technically, my current neurosurgeon is not involved in this scandal, but I find it really hard to believe. He's head of the department, how could he not know about the unauthorized practices? The reports that I have read say anyone who had a surgery in the last 2 years was a risk (that's me!). I'm thankful that nothing bad happened to me, but it certainly calls into question if I should be trusting these doctors. I can honestly say I've been shaken to the core. I knew the doctor who did these atrocious acts, I have spent hours with him. I researched him, I checked if he had malpractice lawsuits (I only found one, but it turns out he's had dozens, and over 200 patient complaints), and I did not see this coming. I still need a revision. I can't find a new doctor. I've called several doctors in Sacramento and not a one will touch me. I've also contacted dozens of doctors in San Francisco and no one will return my calls. My Medtronics rep is, unfortunately, useless. After months of silence, I have given up on him completely. It feels lonely to be in this sea of unknown with no guide. My hope is the new year will bring me a competent doctor who is willing to give me a shot. I wish everyone happy holidays and good health! It dawned on me recently that I may know much more about being disabled that the average person. I am very fortunate to have a mother who is a former special education teacher, and she has taught me so much. I thought I could share my wisdom, but I would like to remind you that I am not a doctor or a lawyer, so please use the advice at your own discretion.This first section will be about Social Security Disability, and my next post will be about more general illness issues. Apply for social security disability as soon as possible. Even if you think you're not actually sick enough to get it, apply anyways. Social Security is known to deny people pretty easily, but once you are approved you get back-payments from the date that you originally filed. I know that I personally did not believe I was that ill, but my mom pushed me to apply, and lo-and-behold I really was sicker than I wanted to admit. The day I was approved was one of the most difficult days of my life; before then my brain would not let me believe this illness was permanent. Once the shock wore off I realized being approved has turned out to give me a lot of freedom (I don't have to rely on my mom financially), so I am thankful that she pushed me to do it. I was denied the first time I applied. I was mostly blind and had just had 2 very serious brain surgeries. I believe I was denied simply because I was 21. I hired a lawyer for my appeal, but I strongly caution others not to do that. I have learned you don't really need a lawyer until you get denied twice (a social security employee actually told me that). My lawyer got 20% of my back payments along with some other smaller fees, and he didn't help me at all. If you are under the age of 21 and have a parent who is on disability you are entitled to benefits under them, and you will get half of what they get monthly. For example, if your disabled mother gets $2000 a month, if you become disabled you will receive $1000 a month. This was put into place because by the age of 21 not many people have worked enough to accumulate social security credits to actually earn disability payments. 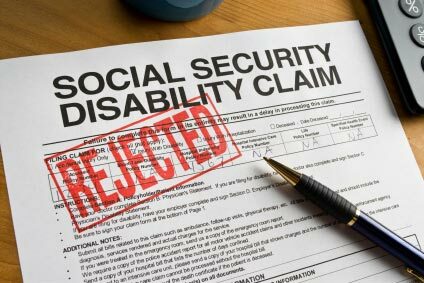 Every disabled person on social security comes under "review" to make sure your condition has not improved greatly. If you are "very likely" to get better they will review you after 18 months. If it is "possible" you can get better they will review you after 3 years. If it is "unlikely" you will get better it is 7 years. If you are young (under the age of 40ish) you will most likely be reviewed every 3 years, unless your disease is terminal. The process is tedious and the questionnaire takes forever to fill out (they ask you for every doctor you've seen in the last year, your medications, what you can and cannot do, etc.). 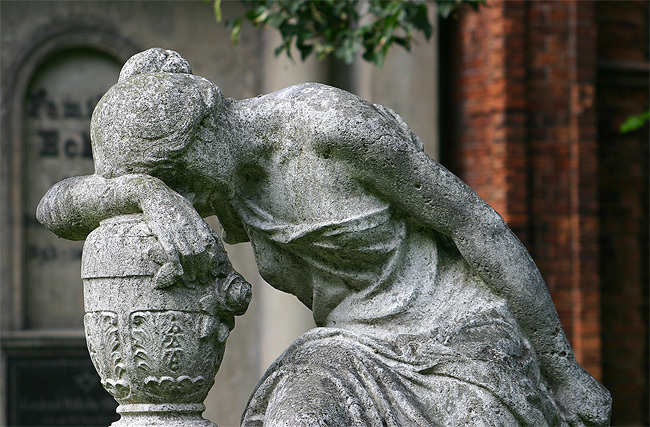 You do not qualify for Medicare until 3 years after you applied for Disability. Once you do start getting Medicare it's about $100 a month that is taken from your payments. However, if you are considered "low income" (which most people on disability are) you can apply for Medicaid to pay that fee for you. This has been so helpful for me because I get so little money every month I wasn't going to be able to pay for Medicare. Medicare is my secondary insurance, and in most cases actually pays for my co-payments. Lastly, when dealing with Social Security make sure you do three very important things: 1) Keep a record of who you talk to and when, 2) Make copies of all the forms you send to them because they do lose things, and 3) Bring someone with you when you go in for interviews (it is a stressful process and it's nice to have someone to help you tell the whole story). I know it's been months. The truth is nothing has changed for me and I didn't want this blog to turn into me just complaining. My Medtronics rep is absolutely impossible to get ahold of. I have been trying to touch bases with him for what seems like ages. I suppose it's not his fault, since my last rep went on maternity leave they have been swamped. I'm just tired of waiting. Originally he gave me the name of a doctor who would be my best option for the next revision. I was excited, despite the fact he was out of my network. I thought getting insurance approval would be the most difficult part, boy was I wrong. Legally I'm entitled to a second opinion, and it turns out that Dr. Boggan was the only doctor in UC Davis to do this surgery, so I have to go out of network. I went to my general care physician and got a referral. Then I got a phone call saying this particular doctor "is not interested in my case." Hmm. Alright. But Jacob recommended him, so I thought it was a mistake. After months of trying to get an explanation, Jacob simply said we need to find another doctor. It's been such a painful process. I may have to go to San Fransisco since so many doctors in the Sacramento area know and respect Dr. Boggan. My theory is they see him as the best and they wouldn't be able to do any better. Who knows? With all this silence from Jacob I just want to shake him and remind him this is my life. I am in so much pain. I don't even use my stimulator any more because it doesn't work. I'm tired of waiting to live again. I'm not putting my life completely on hold, but there is so little I can do. I've been living mostly with my mom because I'm crippled by headaches and I can't do even simple chores. Painkillers are the only thing that works right now but I hate them. I take them so I don't rip out my hair and so I can get out of bed. Jacob, the rep, is amazing. He has given me more support and more information in the last two months than Chanie has in the last year. It hurts me to realize that perhaps Chanie just wasn't who I needed on my side during this process. Jacob started Wednesday by asking how much pain relief I'm getting, and sadly the answer is 60% at best and only 20% when my headache peaks over a 5-6. This is a dramatic reduction from when I had the stimulator implanted in May '11. Jacob was not happy to hear this information. Then he started checking my program and looked even more unhappy. He's not exactly sure what's wrong, but an electrode is hitting a nerve and stimulating the wrong area. He explained that I have 4 electrodes that run along my left eyebrow. I have spent hours with Chanie and done days of research and never knew that. Anyways, 4 electrodes just aren't enough, there should be 8. So why do I have half of what I need? My neurosurgeon is old school and that's just how he does it. Wait, what? Oh yeah, by the way neurosurgeons aren't really the ones who should be doing the nerve stimulator surgery, that's the job of pain management doctors. They seem to have more success, are more cutting edge, and their patients need less revisions. Wait...WHAT?! My head was spinning. Why didn't Chanie tell me this stuff? I can forgive that this wasn't a conversation last June during my first revision. But the fact that this wasn't brought up when I needed another revision only a few months later is ridiculous. Now Jacob isn't saying I need another revision for sure, but if the new programs aren't working then it's a possibility. Well the programs aren't working. He wants me to give it a month, and I will, yet it's something you know pretty instantly. What to do now? I'm back in Reno for a visit and I have a call into a Medtronics rep here to get his view. I've never met him, but I feel at this point the more opinions I get the better. Perhaps that was my original problem: I genuinely believed my neurosurgeon was the best and didn't consider other options. 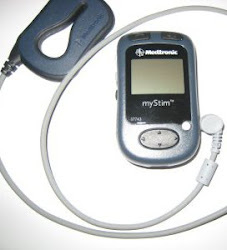 When I first started researching Occipital Nerve Stimulators I read about a woman who ended up having 9 surgeries. I thought to myself, "Ha! Who does that? It will never happen to me!" But now I can honestly see it happening. I want a pain free life, or at least manageable pain, and I will do everything in my power to achieve that. However, these surgeries will not define me. I feel like I will give it one more go in the next year and be done. My body can't handle much more, not to mention my emotional health.